Postage £3.75 - We ship worldwide! PLEASE NOTE: THIS BOOK IS NOW OUT OF PRINT AND BECOMING RARE. OUR NEW UNUSED STOCK IS SOLD OUT, BUT WE STILL HAVE A QUANTITY OF NEARLY NEW/SLIGHTLY IMPERFECT COPIES. IF YOU PURCHASE THIS BOOK PLEASE UNDERSTAND THAT IT WILL NOT BE IN MINT CONDITION, BUT A VERY GOOD, CLEAN, READABLE COPY WITH SLIGHT WEAR! 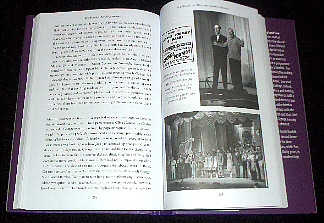 Hardback, 328 pages, includes previously unpublished photographs. 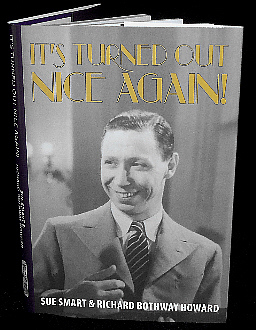 'George Formby was arguably Britain's most successful popular entertainer ever and this volume by Sue Smart and Richard Bothway Howard more than does its subject justice. 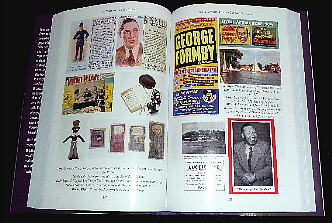 Meticulously researched and filled with material direct from Formby's family, this biography puts to rest many of the rumours, half-truths and gossip surrounding George and Beryl and once again reminds us of his remarkable achievements. Click on 'Buy Now' to purchase instantly online by credit card, debit card or paypal. Secure and easy payment with no registration necessary! Our online payments are hosted by paypal, who we believe to be one of the most reputable and trusted companies on the internet.